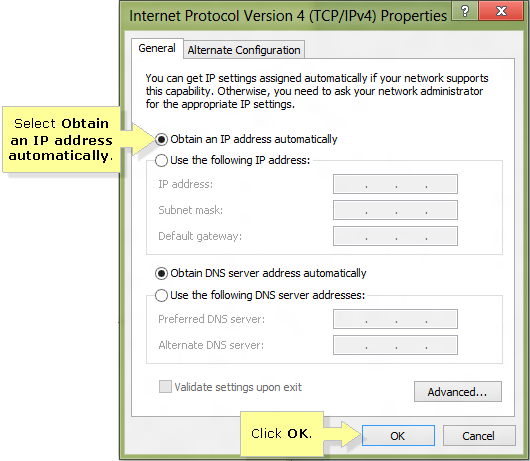 Automatically obtaining an IP Address from a DHCP server such as a router is an easy way to connect your computer to the network. Instead of manually entering the IP Address, Subnet mask, and Default gateway, these can be automatically assigned by the DHCP server. 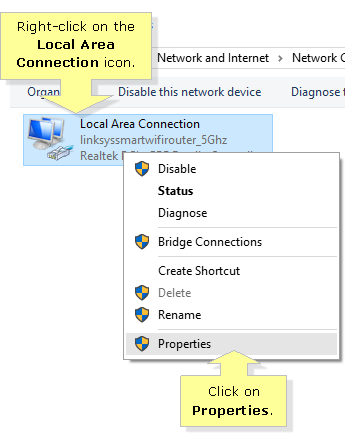 To do this, you need to set the network adapter on your computer to obtain an IP Address automatically. 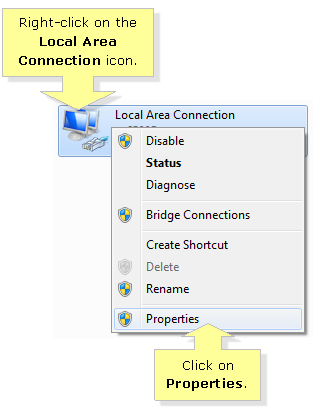 Right-click the Network icon located at the bottom-right corner of the Desktop screen then click Open Network and Sharing Center. 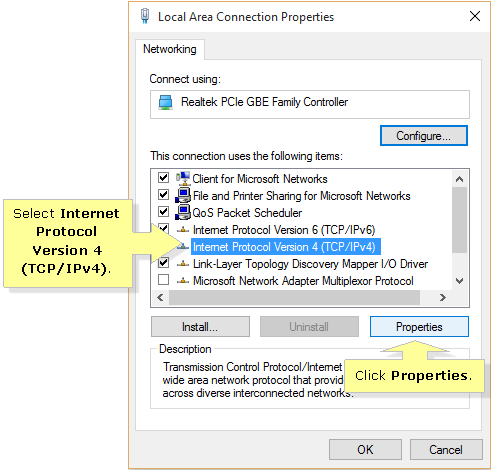 On the Local Area Connection Properties window, select Internet Protocol Version 4 (TCP / IPv4) then click Properties. Select Obtain an IP address automatically then click OK.
Click the radio button beside Obtain an IP address automatically then click OK.